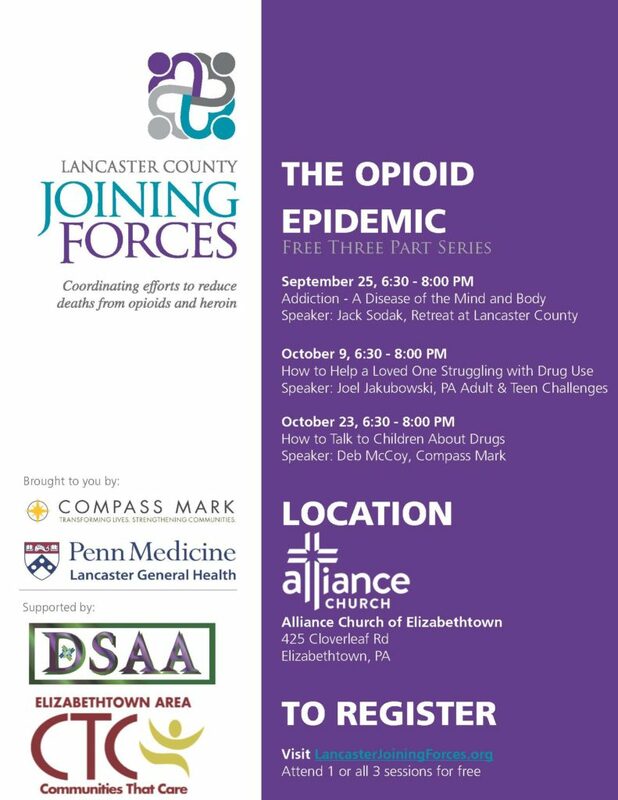 A grassroots organization that was formed by people living in the Donegal area who have seen how the heroin/opiate epidemic has impacted our community. Our office is located at 15 West Main Street, Mount Joy, PA. Our current hours of operation are Monday from 10 AM to 2 PM, Wednesday from 12 PM to 6 PM, Thursday 3 PM to 6 PM, and Friday from 10 AM to 2 PM. Forth Fridays we are open from 4 PM to 7 PM. We will expand our hours as we train more volunteers. Our phone number is (717) 492-4596. We have also been recognized as a Non Profit Service Organization by the Federal Government. We were granted our 501C3 request and donations made to Donegal Substance Abuse Alliance are now tax deductible. 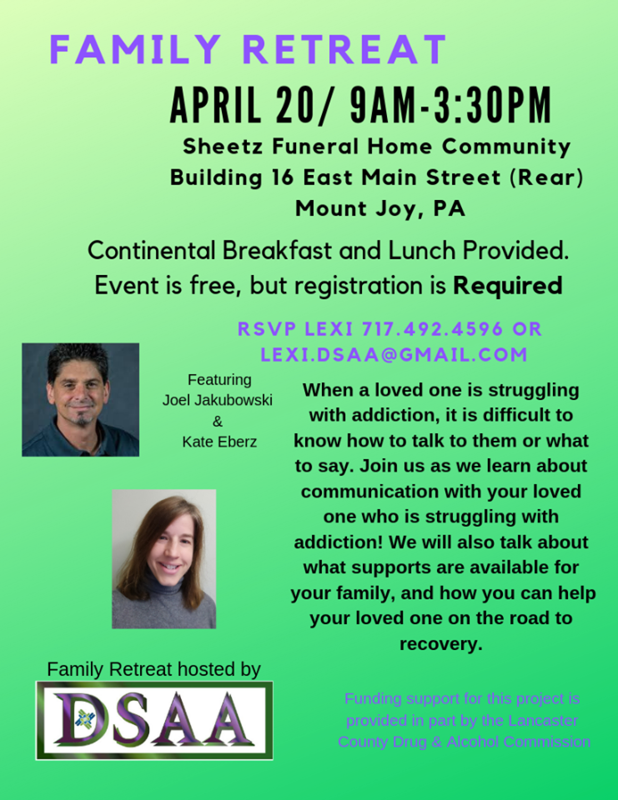 To provide support to those in recovery. For more information on how you can help, contact us or find us on Facebook! Use our contact form to sign up for our email list. We send out mailings infrequently, so we won’t flood your mailbox, and we never share your email address with any other company or organization.